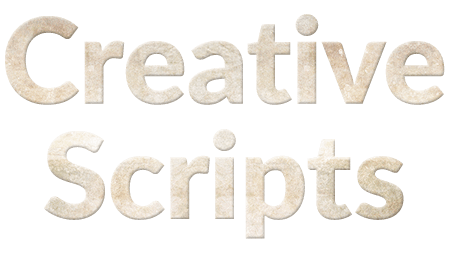 Copy the script file into Illustrators Scripts folder. Windows: Somewhere like "C:\Program Files\Adobe\Adobe Illustrator CC 2019\Presets\en_US\Scripts"
Mac: Somewhere like "/Applications/Adobe Illustrator CC 2019/Presets/en_US/Scripts" One can easily navigate to this path by holding the command key and clicking on the Illustrator icon. If Illustrator is open then close it and restart it. If it's closed then open it. Pick or create an action set. To create a new action set click on the actions panels folder icon. Call is something really nice like "My Scripts" or "Creative Scripts"
Create a new action by clicking on the actions panels folded paper icon. Call it something informative like "My Super Duper Script", make sure it's plonked into the correct set. Assign it a function key with or without key modifiers (Shift / Control) as desired. Click on record (The circle icon at the bottom of the panel). Click on the actions panels menu icon (located at the top right corner of the panel), click on "Insert Menu Item…" . If you forgot to click on record this option could be grayed out. Click on the script's menu item. File > Scripts > mySuperDuperScript then click OK.
Click on the square stop recording icon. The script should now run every time you press the chosen function key with the selected key modifiers. With pre-Illustrator 2018 versions there was a bug and the shortcut would be forgotten on closing Illustrator but this was fixed in Illustrator 2018.